Microsoft has stopped making the Kinect, the gaming accessory that looked, at one point, like it might represent the future of gaming. Unfortunately for Microsoft, gamers have moved onto bigger and better things such as the Oculus Rift Oculus Rift Review Oculus Rift Review Virtual Reality is not new, but it's finally affordable and within our grasp. After four year and two development prototypes, the final consumer edition of the Oculus Rift has arrived. Read More and PlayStation VR PlayStation VR Review PlayStation VR Review Sony has finally released their low-cost headset to the world, along with a slew of Playstation games that support the device. Is it worth it? Read More , which means the Kinect is now dead. In 2010, Microsoft launched the Kinect for the Xbox 360. This peripheral combined a motion-sensing camera and microphone to put you in the game. It was, in many ways, Microsoft’s answer to the Wii. Kinect subsequently made it to Windows and the Xbox One, but Microsoft is now calling it a day. In an interview with Fast Co. Design, Alex Kipman, creator of the Kinect, and Matthew Lapsen, GM of Xbox Devices Marketing, revealed that Microsoft is no longer manufacturing the Kinect. The company will continue supporting existing units, but no more will be rolling off the production line. The simple reason behind the demise of the Kinect is market forces. Microsoft wasn’t making money from the Kinect by marketing it to gamers. So it makes little sense to keep trying. Instead, Microsoft has switched focus to delivering a more powerful console in the form of the Xbox One X. While Microsoft didn’t mention it by name, the technology behind the Kinect also lives on in the iPhone X. In 2013, Apple acquired PrimeSense, the company responsible for the depth-sensing technology that made Kinect work. And that same technology is now powering Apple’s new Face ID Buying an iPhone X? Face ID Might Make You Reconsider Buying an iPhone X? Face ID Might Make You Reconsider The iPhone X's most notable feature is the Face ID device unlock system. But how secure is it? Will Apple have access to a huge database of everyone's faces? Read More . The Kinect was a successful gaming peripheral, with Microsoft shifting 35 million units. However, it’s now clear that Kinect wasn’t just a gaming peripheral, and the underlying technology can be used for more important things. So, feel free to mourn the end of the Kinect, but remember that its essence lives on. And if that doesn’t ease your woes there’s always the Microsoft HoloLens 8 Real-World Uses for Microsoft HoloLens 8 Real-World Uses for Microsoft HoloLens Microsoft's HoloLens is cool, but what will you actually use it for? We run down the most exciting possibilities. Read More to coo over. Do you own a Kinect? If so, do you own the original unit for the Xbox 360? Or Kinect 2.0 for the Xbox One? When was the last time you used your Kinect? 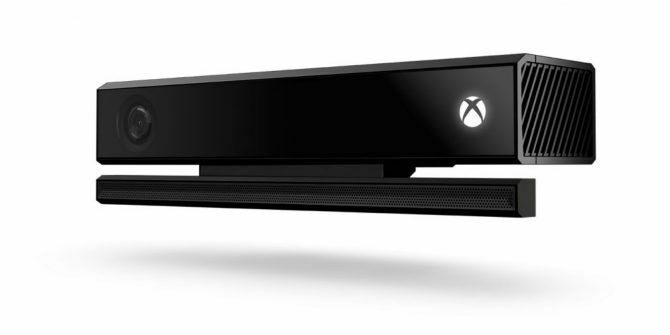 Do you think Microsoft is giving up on Kinect too easily? Or is VR the future of gaming? Please let us know in the comments below! Explore more about: Microsoft, Xbox 360, Xbox Kinect, Xbox One.